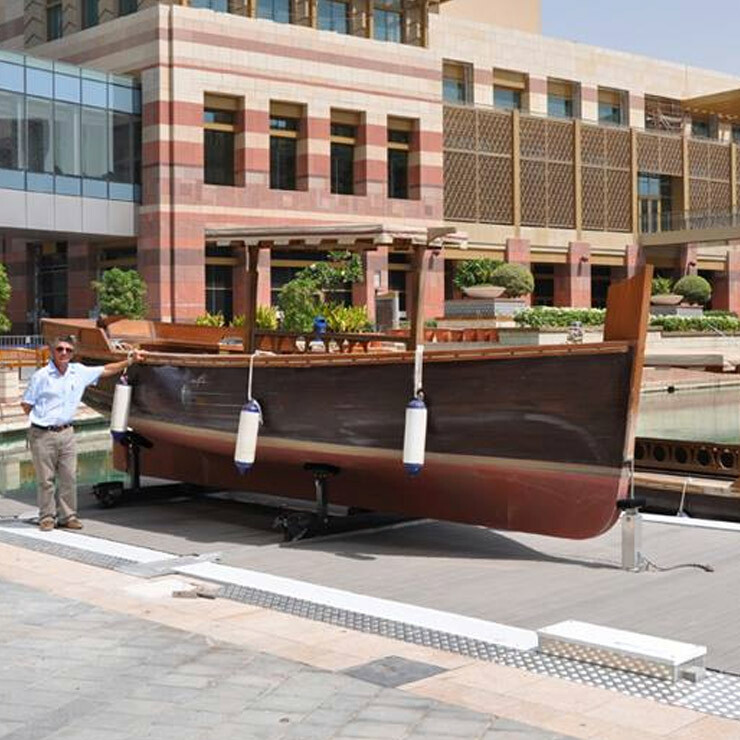 No longer do you need to stare at the visual pollution that traditional boat lifts create. 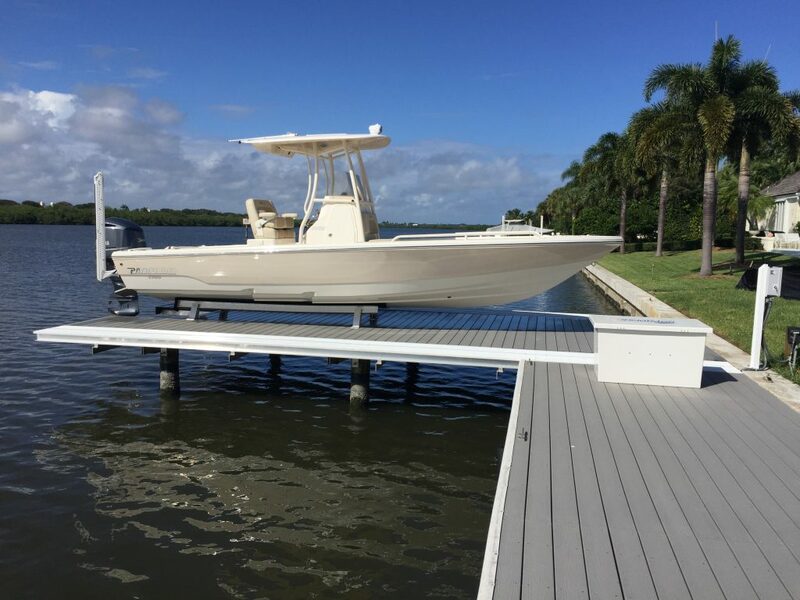 Way Marine Design has created a boat lift that is second to none, making all the boats working machinery "invisible" to please the eye, while still being capable to withstand the harshest saltwater environments. Finally, they wrapped up the entire package with the best comprehensive warranty in the business. NO PROFILE Boat Lifts, are second to none! There is finally an alternative to the unsightly, metal contraption that spoils your waterfront view. Gone are the days of ducking under, or stepping over beams to access your vessel. The No Profile Invisible Lift design is a utilitarian approach, with all the attributes of the award winning No Profile concept. The ease of access to your vessel has not been sacrificed. Easy access to your PWC when and where you need it. Launch in minutes, keep it clean, and keep your waterfront view. The No Profile PWC lifts come in a variety of configurations. 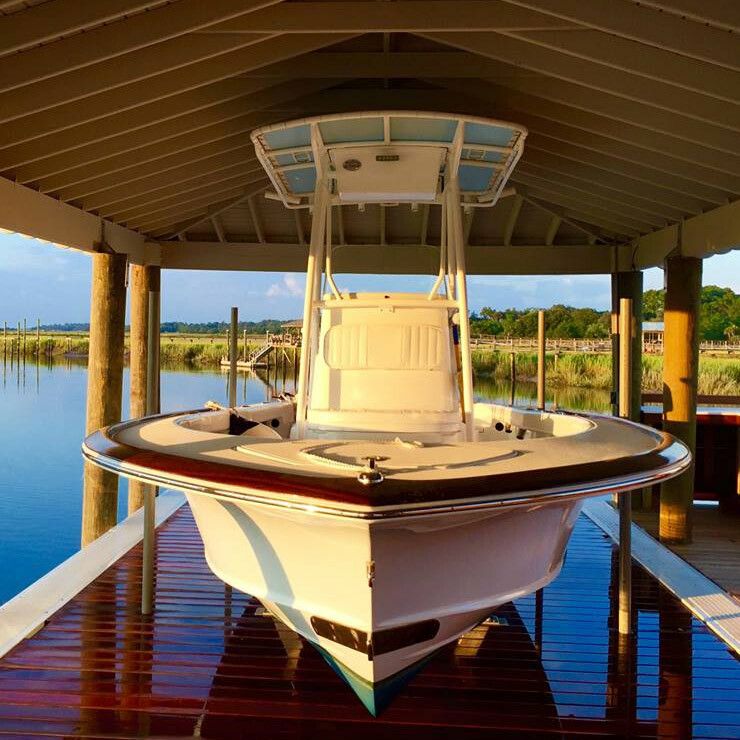 Way Marine Design works closely with marine contractors and architects in the design of boat houses that incorporate the No Profile Boat Lifts. 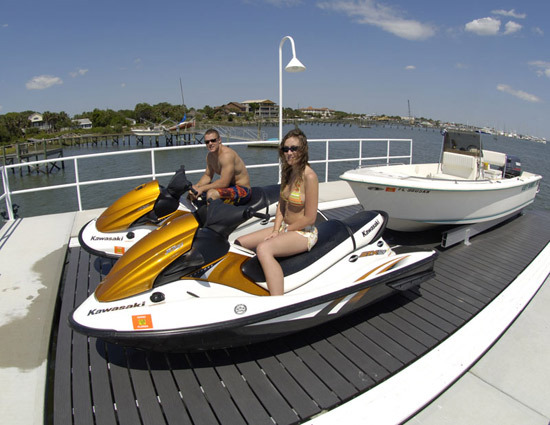 Do you have a marina that could use a service lift? Would you like to be able to load and launch a variety of boats? Would you like a nice revenue center? The No Profile Service Platform Lift is the answer. 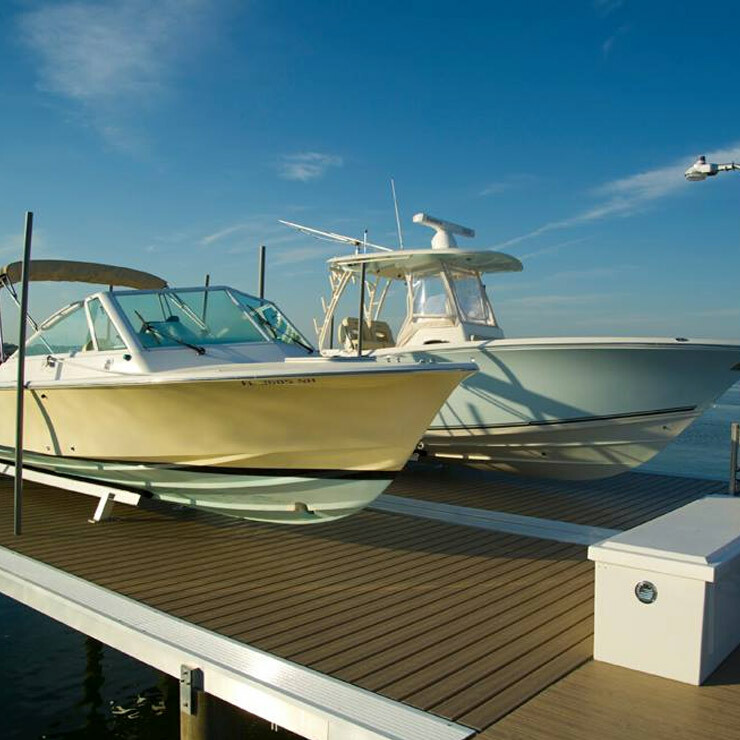 Don’t just stand on your dock and stare at the water, bring it to life with the new No Profile Gangway Elevator. 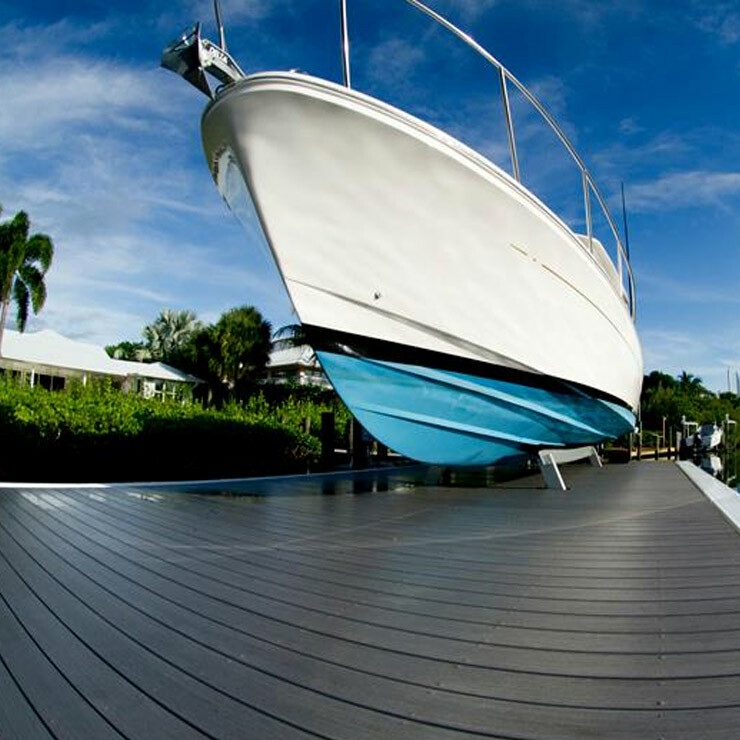 The Gangway can be incorporated into your dock or bulkhead and add a moving dimension to your waterfront. The No Profile Platform Lift allows for quick and safe loading and unloading when lives are on the line and allows for easy maintenance of your vessels to keep them ready to go at a moments notice. 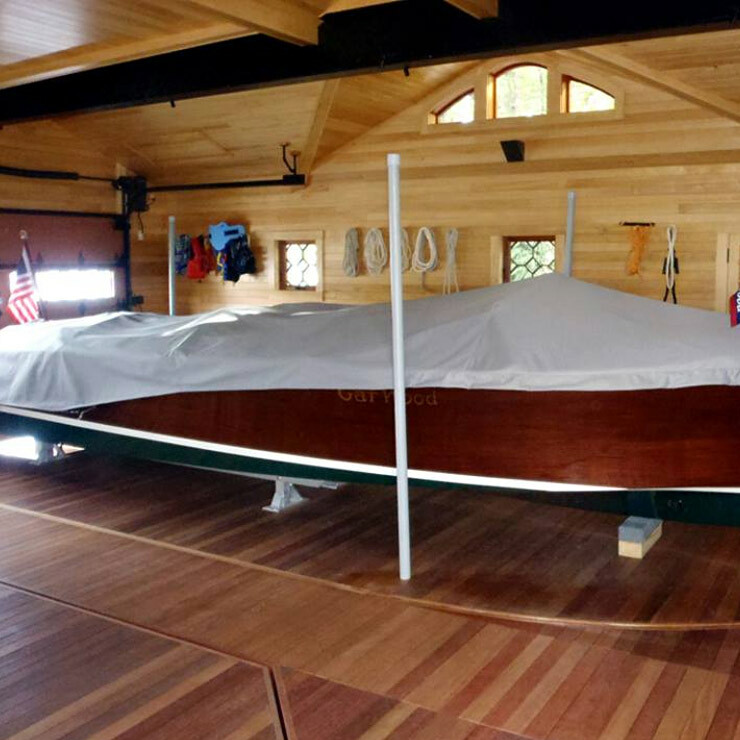 At Way Marine Design, custom work is our specialty. We can do just about anything to create you the perfect lift! Call us, we can do it! To design and build an aesthetically pleasing, mechanically superior, and ruggedly reliable boat lift. And by the way, we nailed it! Our lifts are backed by the best warranty in the business: Two Years, bumper to bumper. How do we offer this? Our superior design and unmatched quality of materials. These boat lifts are a boat detailers dream, I've gotten to do a couple of boats on this style lift. Way safer and I was able to do just as good of a job as the boat being hauled out. These boat lifts are second to none. Truly worth every dollar and more. The ease to launch your boat, clean it, maintain it, more than pays for the lift. Awesome work No Profile! Updates from the Way Marine Design team. Your waterfront doesn’t have to look like a junkyard anymore. 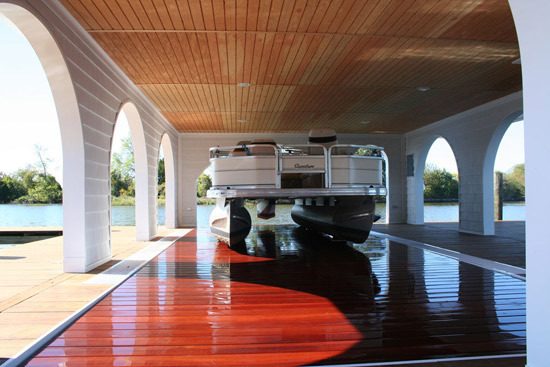 Only the No Profile Boat Lift offers a beautiful alternative. 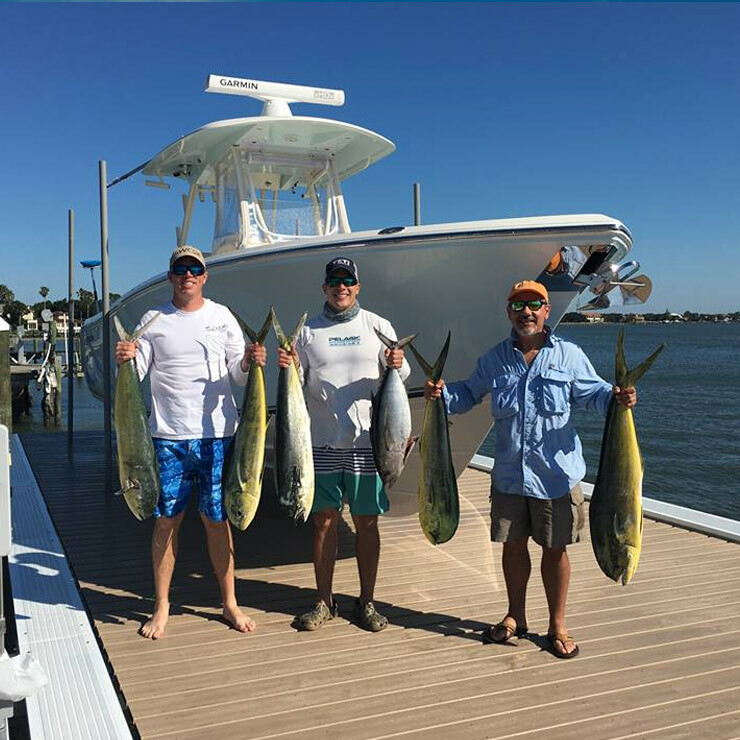 At No Profile Boat Lifts, we’re cleaning up the waterfront one lift at a time.